Bhasha Andolan, Orissa has submitted a memorandum to the Governor of Orissa at 11.30am today urging upon him to refuse accent to the Odia University Bill adopted by the Assembly on 14th this month , alleging that, it is pregnant with congenital defects, which, unless removed, would help language mafia on the prowl to prey uopn State-funded research outcomes. 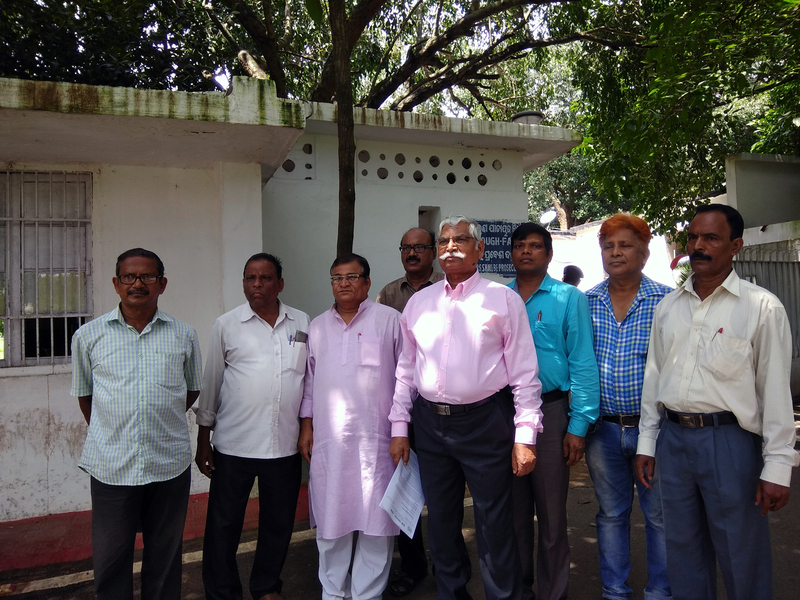 Citing an instance, the Andolan leadership apprised the Governor of how a gang of language mafia acting under the cover of a Trust namely Institute of Odia Studies and Research, has stolen the document prepared by Odia Bhasha Pratisthan in support of the State’s claim for classical status to Oriya language in order to earn for itself an identity as a body of researchers, which identity it was badly in need of to acquire huge streach of land for its private project, incidentally an university, styled Odia University. The Government is aware of the theft of this most historic official document. But, this gang has so corrupted the system that no action is taken as yet by the administration to punish the thieves, Bhasa Andolan leadership told the Governor, submitting an evidentiary document. 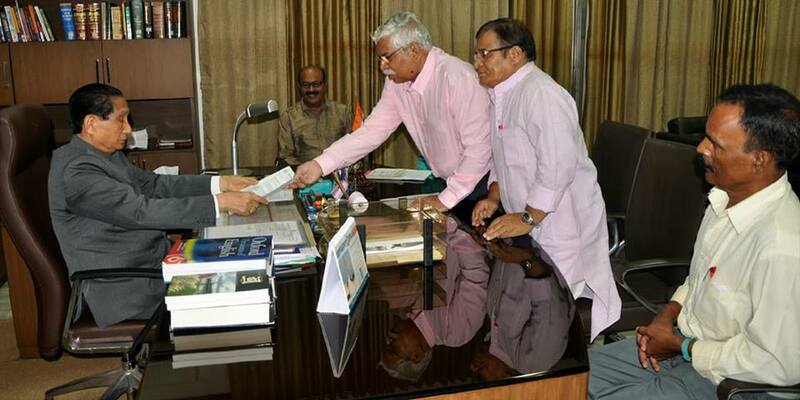 The Andolan leadership informed the Governor that, the Odia University Bill, as passed by the Odissa Legislative Assembly on 14th this month, has inbuilt provision by exploiting which the gang that stole the Classical Status document and any other similar gangs can use the Odia University for stealing the research outcomes generated with the funds provided for by the State Exchequer. “We attract your kind attention to Sub-Clause (xiii), (xv) and (xviii) of Clause 5 of the Bill. We strongly opposed this mischief before the Member-in-Charge Minister, firstly under the ground that it being a State-funded University of Odia Language, raising of funds by making “contract” with “any other institution or organization” for “transfer of technology”, is detrimental to the scheme of University founded and funded by the State. Secondly, it gives ample opportunity to the Mafia to grab and misappropriate the “technology” built up by the State. Sub-cl. (xviii) “to make provision for research and advisory services and for that purpose to enter into such arrangements with OTHER INSTITUTIONS OR BODIES as the university may deem necessary”. We had apprised the Member-in-charge Minister of the mischief sic passim the wordings and had demanded that “other institutions or bodies” be replaced with “other Universities” only on the ground noted above. But, the amendment has kept the word “institutions” intact. In the circumstances, the Bhasha Andolan has emphasised that the word “institution” shoulf be deleted from the text of the the sub-clauses cited supra. The Governor was pleased to assure them that he would talk with the Minister concerned and do the needful. The delegates comprised of Subhas Chandra Pattanayak (Chairman), Pradyumna Satapathy (President), Pabitra Mohan Maharatha (Convener), Janakish Badapanda and Nabakumar Pradhan (Members of the Core Committee). We appreciate the step taken by Bhasa Andolan,Orissa and submit a memorandum to the Governor of Odisha. Odia language university should be a world class university to promote Odia language & culture with all the modern facilities and infrastructure.Yoga,Marshall art & foreign language courses(Ex:German,French,Spanish,Japanese,Chinese etc. )should be taught in Odia language University. After the requisite amendment Odisha govt should immediately start the Odia language university without making any delay. Odisha govt & central govt should also expedite the procedure to start Central Institute of classical Odia & Odisha council for historical research.Meanwhile Odia language should be compulsory up to graduation level & all the exams like OPSC(Public Service),OSSC,OSSSC should be conducted in Odia language. Odia should be compulsory in all the courts of Odisha. Secondly,there should be a awareness among media house(print & electronic) to communicate/publish the contents of news/advertisements/programmes in pure Odia language instead of using semi English or Hindi words. Till date no media house or organization has made any quality movie/serial on Kharabela(other mighty kings of Odisha),Konark,Utkal Gourab Madhusudan Das,Maharaja Krushna Chandra Gajapati,Fakir Mohan Senapati,Gopabandhu Das, Gangadhar Meher etc.These media house are making unnecessary mega serials which are in many way influencing the psychology of Odia people,wasting the time and creating misunderstanding among the family members.At the same time English/Hindi news papers which are getting published from Odisha are not highlighting the Odia/Odisha cause and are biased on many issues. Currently,Odisha facing linguistic & cultural invasion from both English and Hindi language. Odia people have got a tendency to adopt & follow other languages&culture by neglecting their own.To get a job/doing business/for research above languages are important then why do not we try to provide the above facilities in Odia language?Till date Odia language has not been incorporated in Google search engine.In above cases we must learn many things from Kerala,Tamilnadu,Maharashtra etc. Finally,India is a federation of states where if you neglect your own language(mother tongue) or lack fellow felling among each other, others will neglect you.Here people of Odisha must adhere to few things like discipline & respect for labour instead of running after job only. Therefore,our people/leaders should learn something from history and fight for Odisha in every field/sphere. The purposed Odia language University should have a FM radio station,printing press,world class library,auditorium many other facilities that a modern university requires. my suggestion is as all the central govt organizations/private bodies are celebrating Hindi divas ,state govt/private bodies should celebrate Odia language dibas in state govt offices,school,colleges,universities etc.